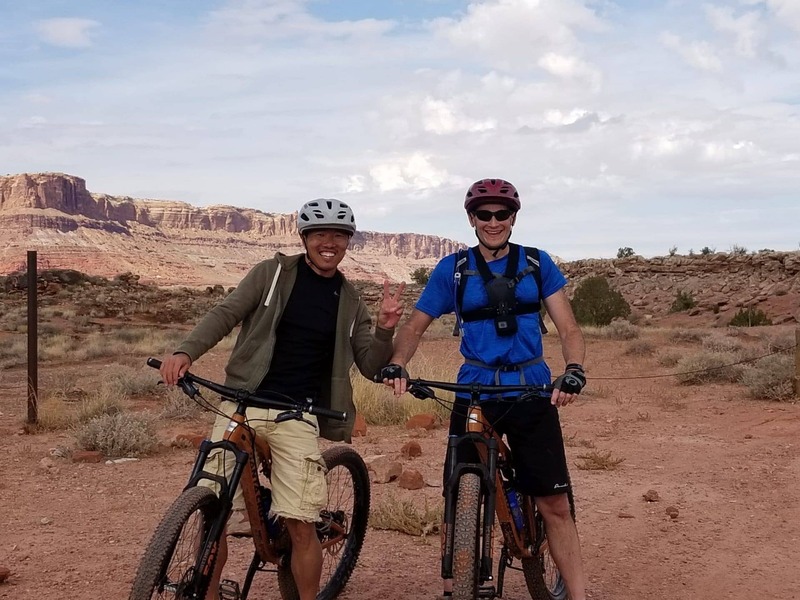 More from Yi’s Visit and Mountain Biking in Moab! 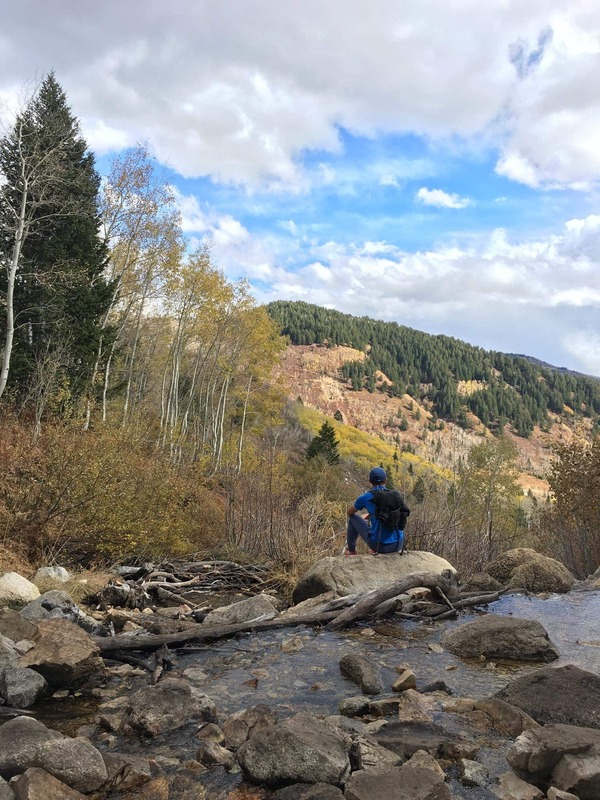 Yi does More in Utah than any Other Visitor! 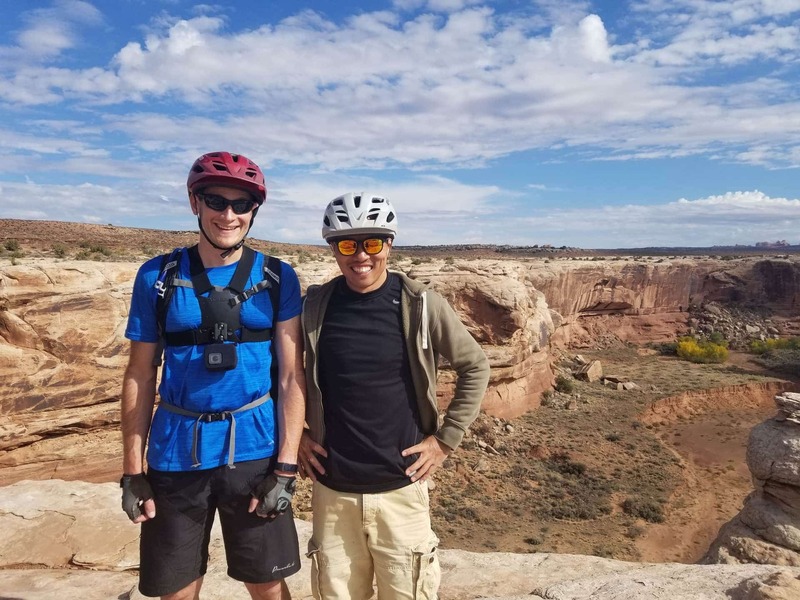 Keith, Yi and I had been in Moab since Thursday. It was now Sunday and we were ready for one more adventure before we left! 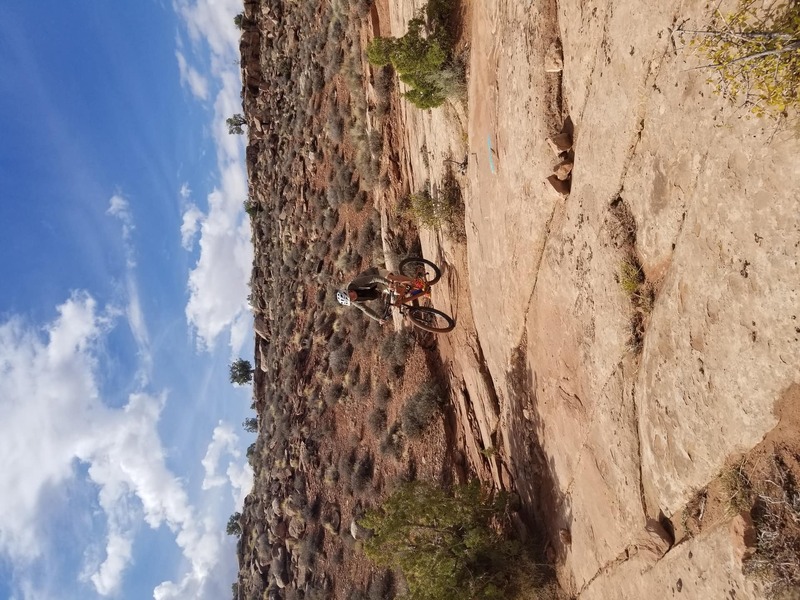 We finally went on our first mountain biking adventure in Moab! 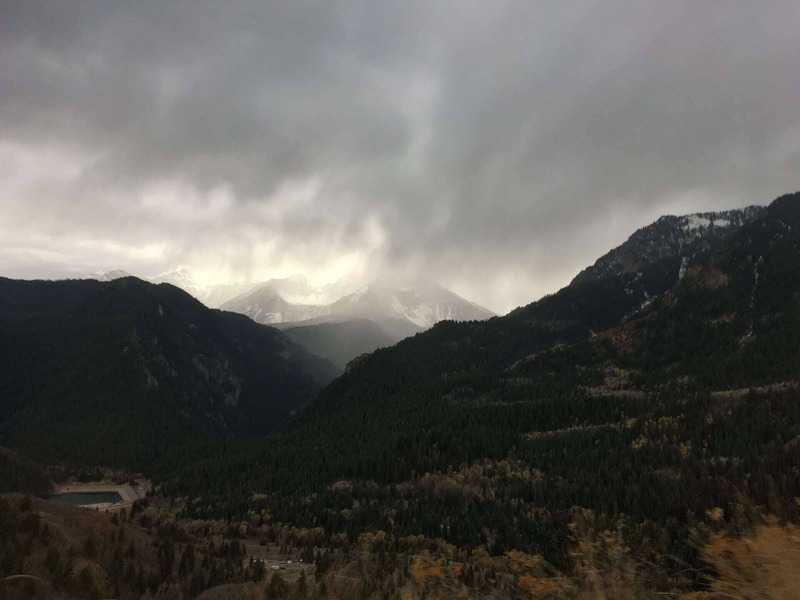 We woke up to a little rain and was afraid this might spoil our plans of mountain biking, but it didn’t. In fact, it was Sunday and just barely wet by the time we reached the trail. Not sure if that combo contributed, but there was no one at the trailhead when we arrived! 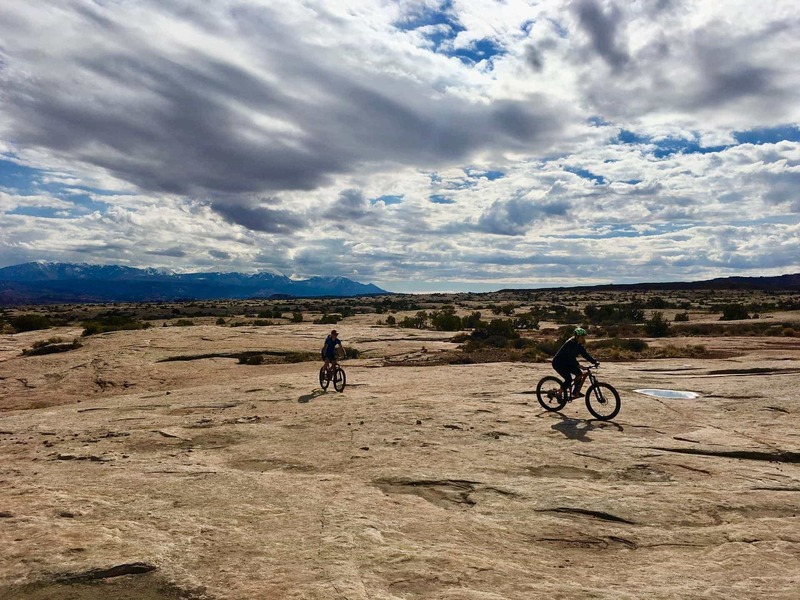 By afternoon we saw a few riders, it ended up being the perfect day to ride. 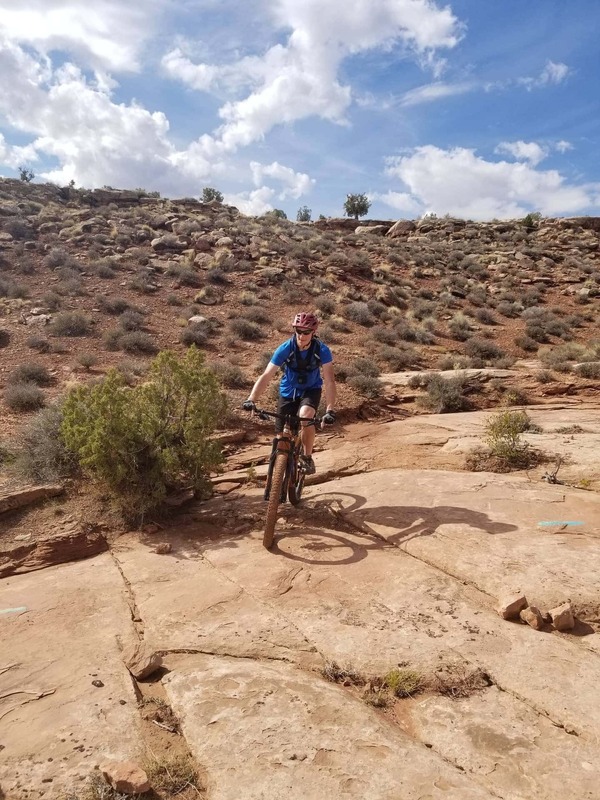 Yi is an avid road cyclist and interested in mountain biking so we knew we needed to capitalize on the opportunity to take a ride on out in the red rocks. 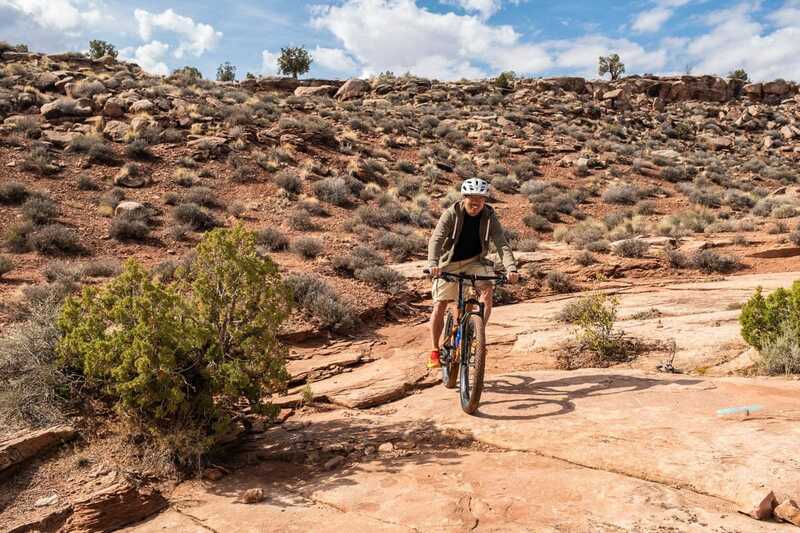 Keith bought a mountain bike this summer and has been riding every chance he gets. 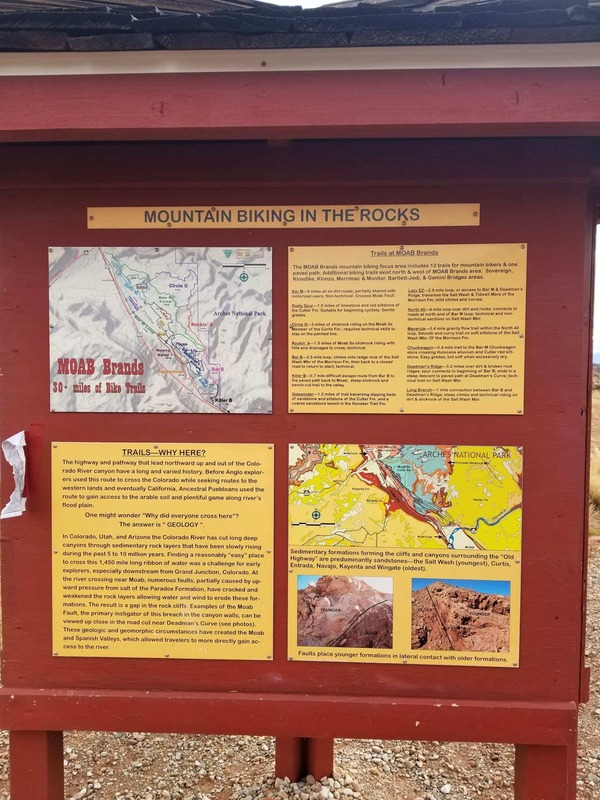 I had been on a mountain bike once when we were in Bluff over a year prior. 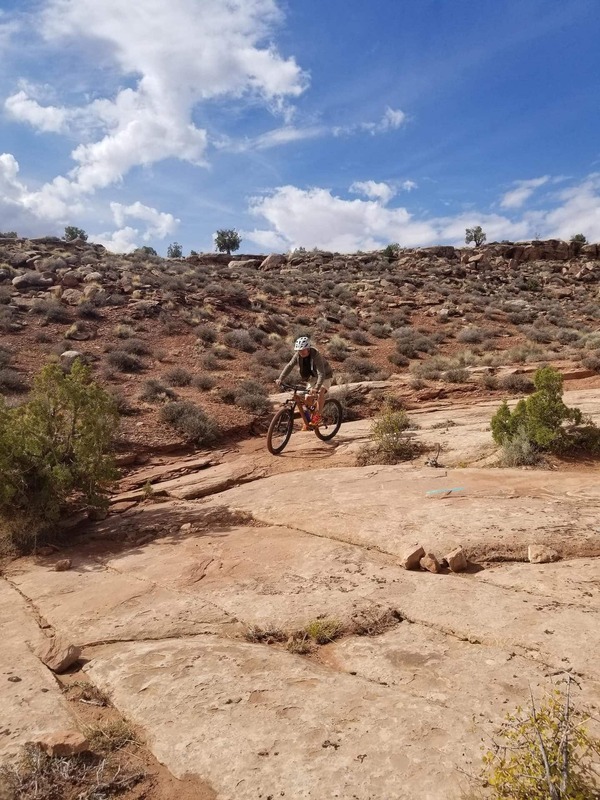 Yi had never actually been on a mountain bike, but he is very athletic and rides long distances on his road bike… so we were at varied levels. We booked our guided trip through Rim Tours and it could not have been any better! 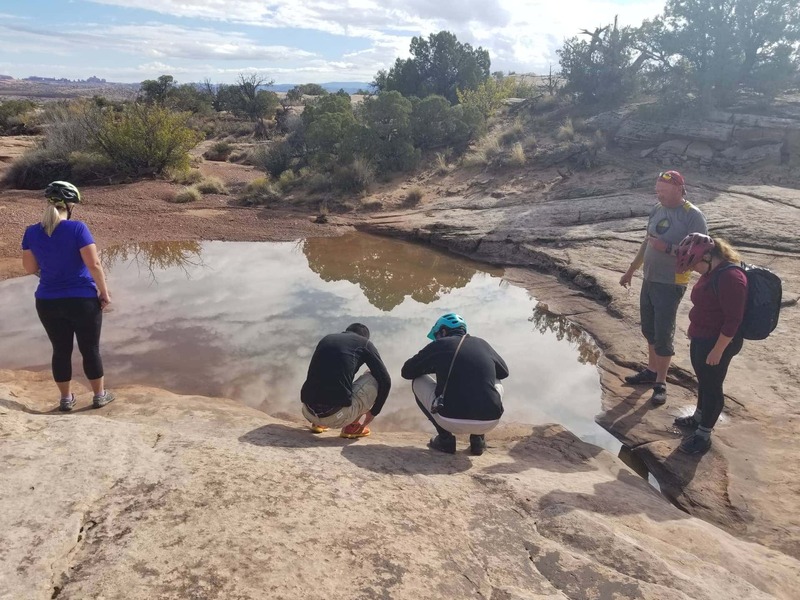 The mix of terrain matched our levels perfectly and everyone had plenty of moments where they learned new skills! 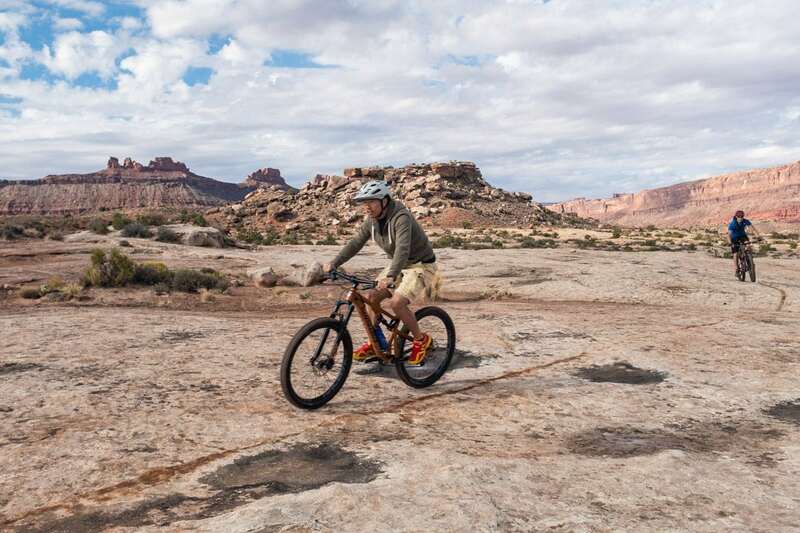 Our guide not only taught us about mountain biking, but about the area and geology in general. 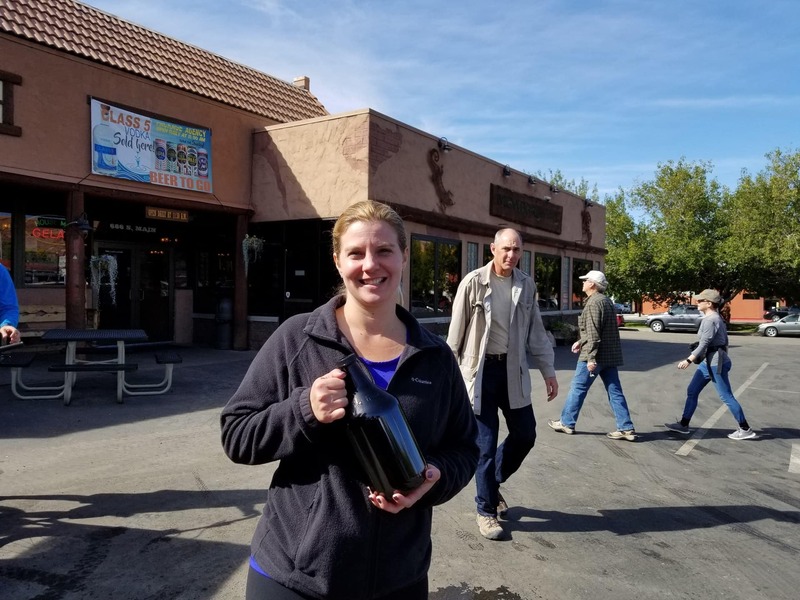 We met early in the morning at the Chile Pepper Bike Shop, located next to the Moab Brewery. 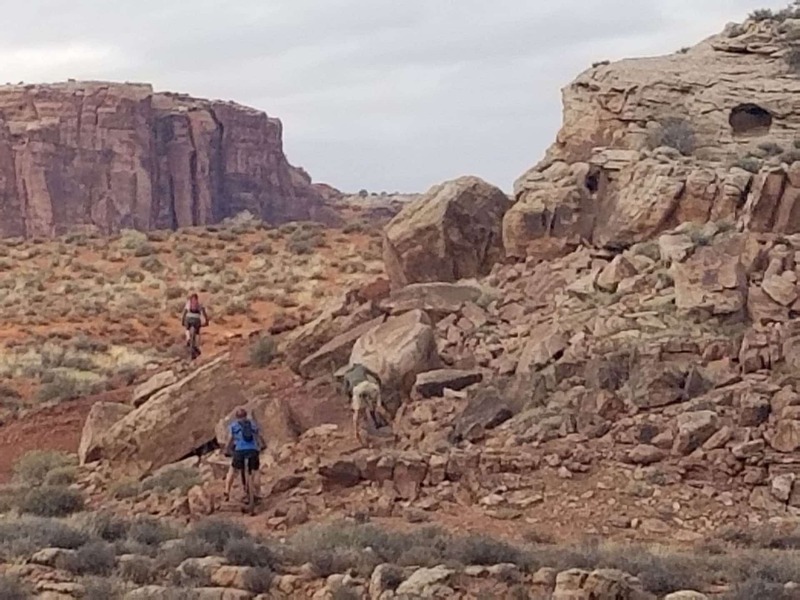 From there, we headed out to pick up another couple that would be joining us and then to the Moab Brand Trail System which is located near Arches National Park. The ride itself was amazing! 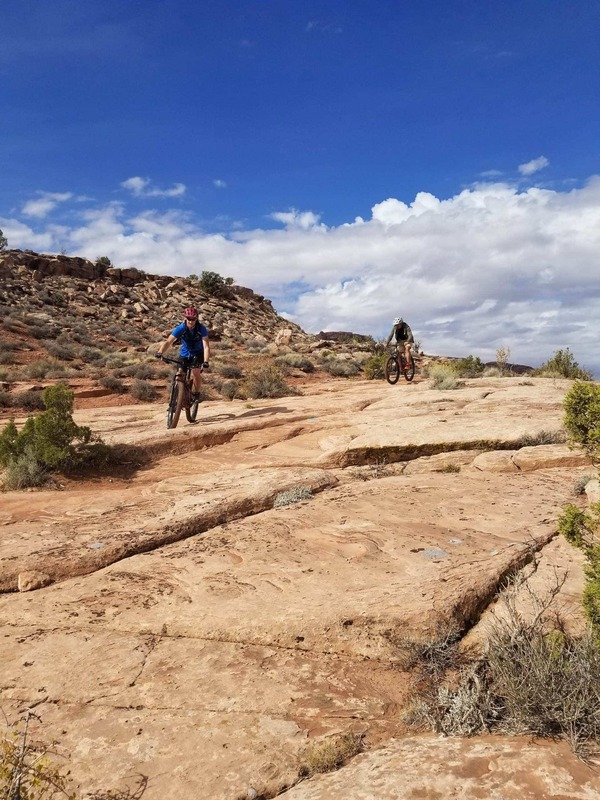 We started the morning on some easy doubletrack that led to our first singletrack route. 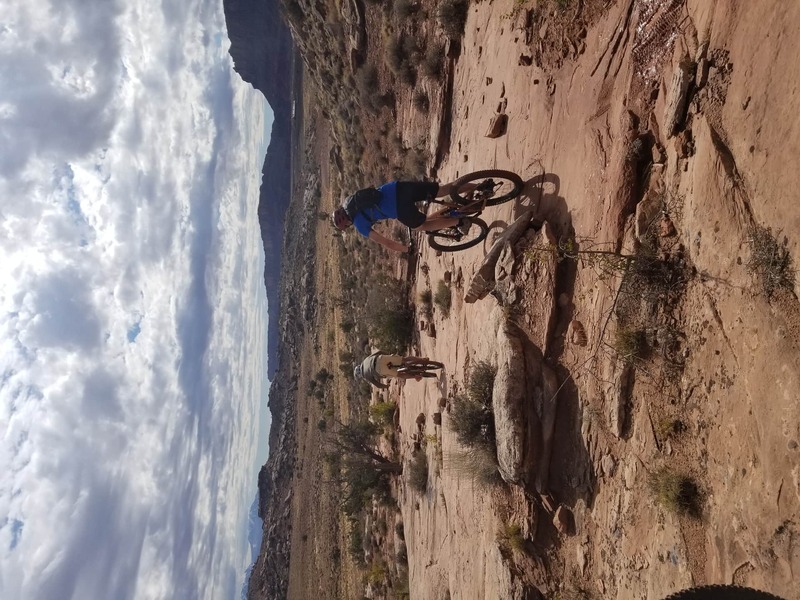 From there, we challenged ourselves with some tough climbs, loose descents, and some technical rock sections. 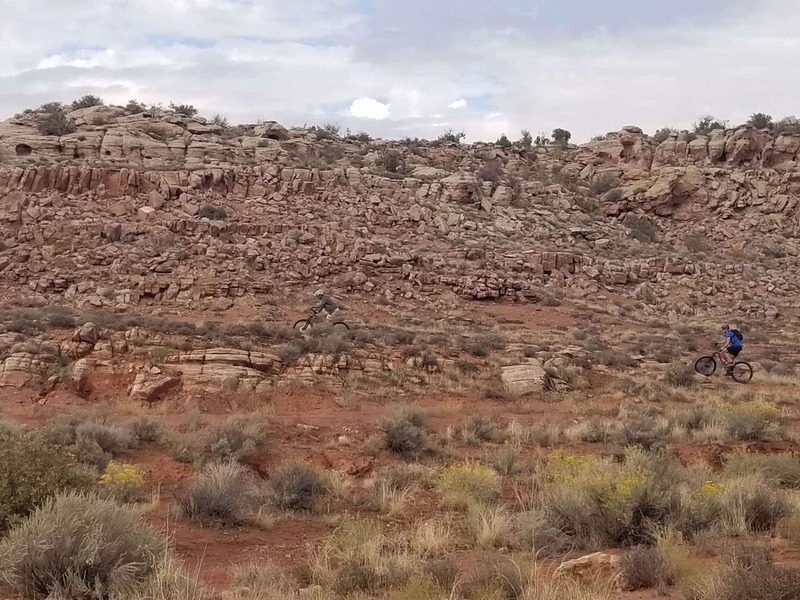 We eventually made our way out to onto a large area of slickrock. 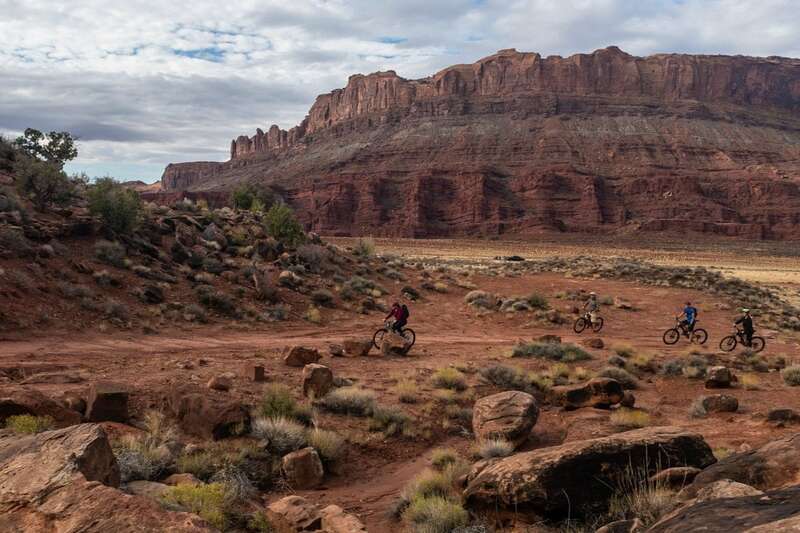 This was truly the Moab mountain biking experience we were looking for! 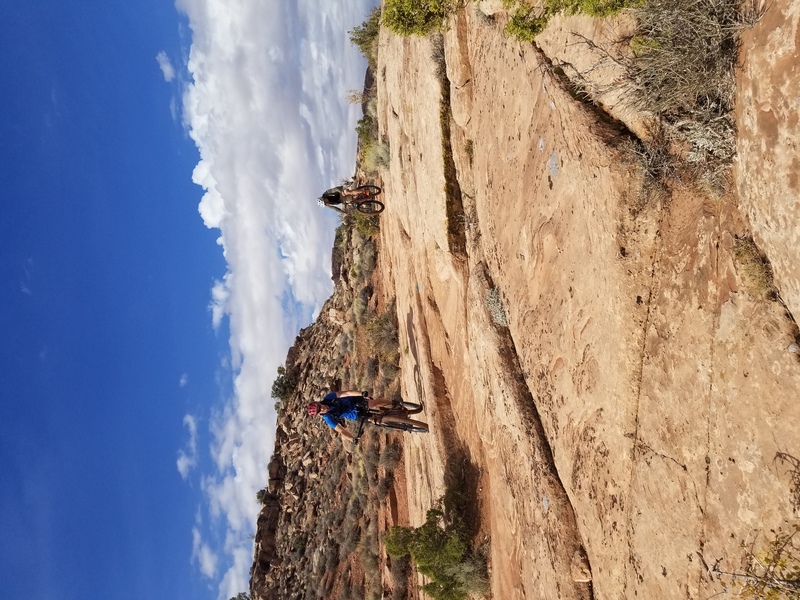 After taking a short break, the guys headed out with the guide to tackle some difficult technical trails while us girls spent some time riding along the flowy singletrack. We eventually all met up again and headed back to the paved bike trail to end our day… or so we thought. BONUS!!! Our guide let us ride the paved trail all the way back into town. 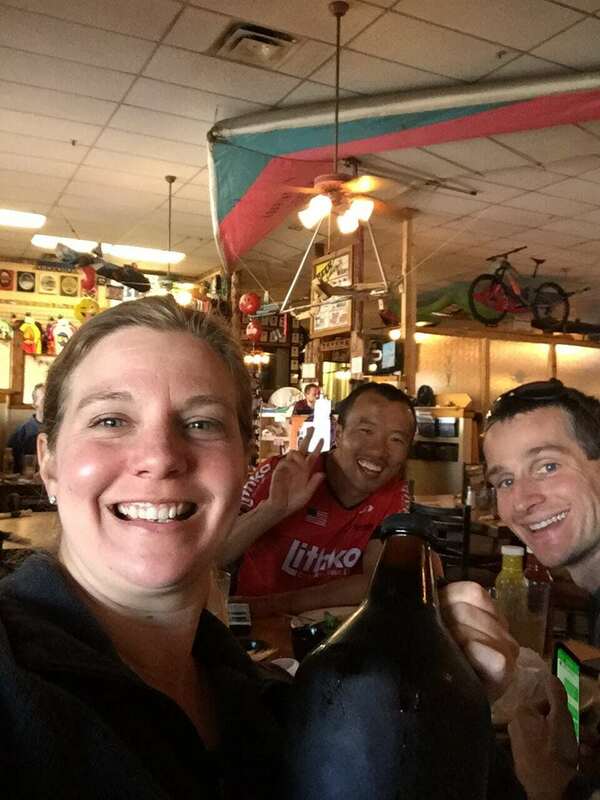 After our mountain biking adventure, we were super hungry so we headed over to the Moab Brewery for lunch and a beer. 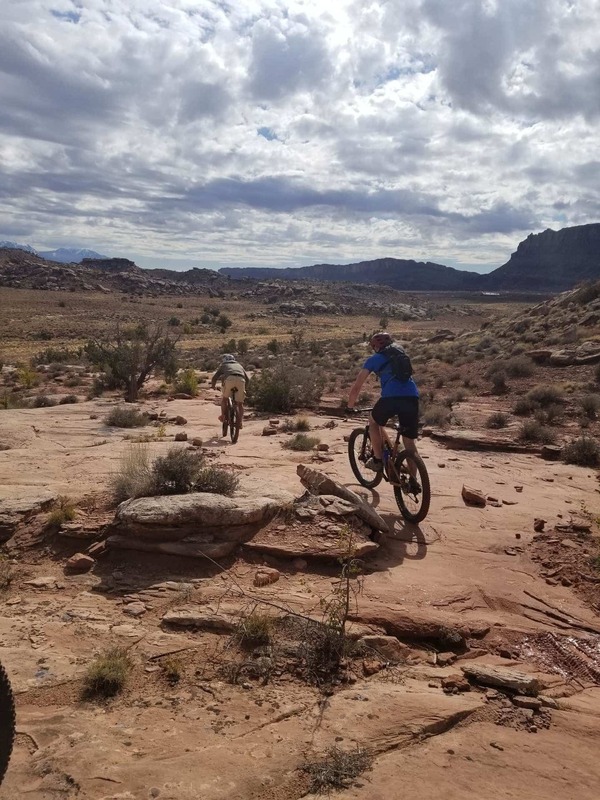 I felt like we really “belonged” in Moab as we relaxed our muscles and couldn’t stop talking about the mountain biking we had just done. 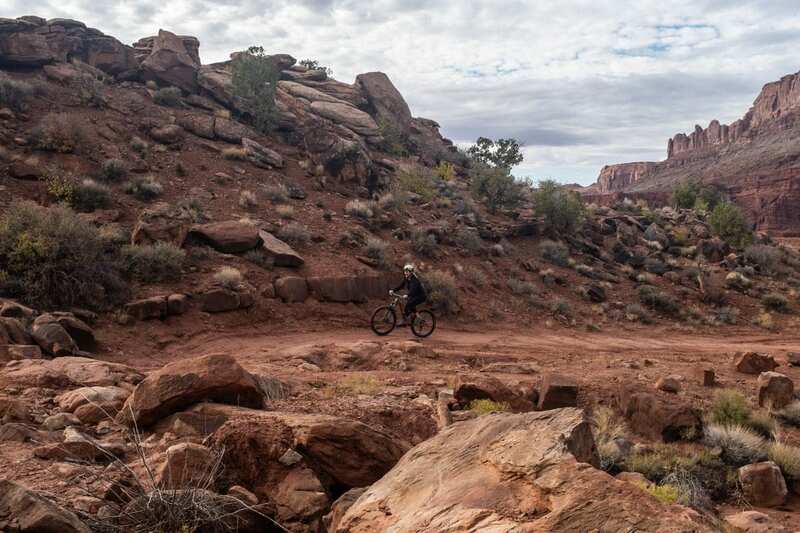 Moab is such an adrenaline town and full of big adventures. 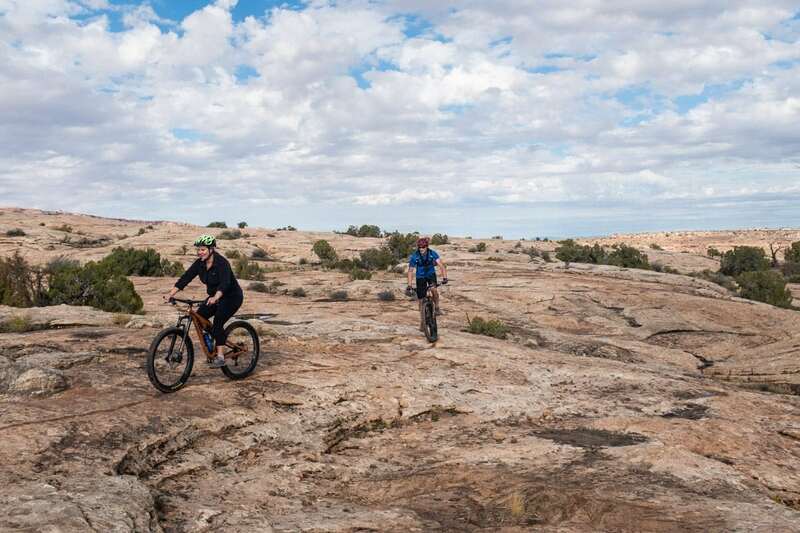 We were excited to check off mountain biking for the day… I know this is only the beginning, especially for Keith! It was nice to do the guided tour and now we better understand the route and difficulty in the area we rode. I’m sure we will be back real soon. 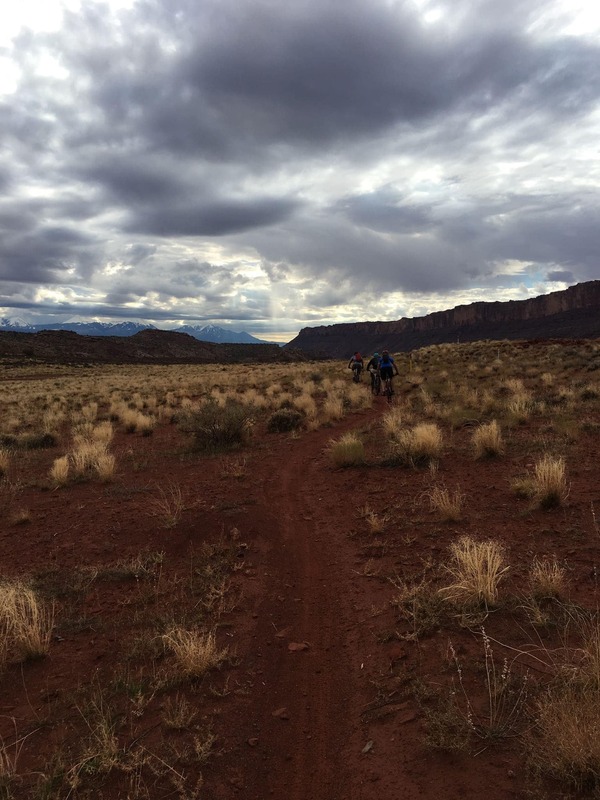 Before leaving Moab, we checked out a few shops in town and then headed back to Pleasant Grove for the evening. Keith would work on Monday and we planned to go out for a nice dinner to conclude the trip before Yi flew back on Tuesday. This gave Yi and I the day to choose an activity. 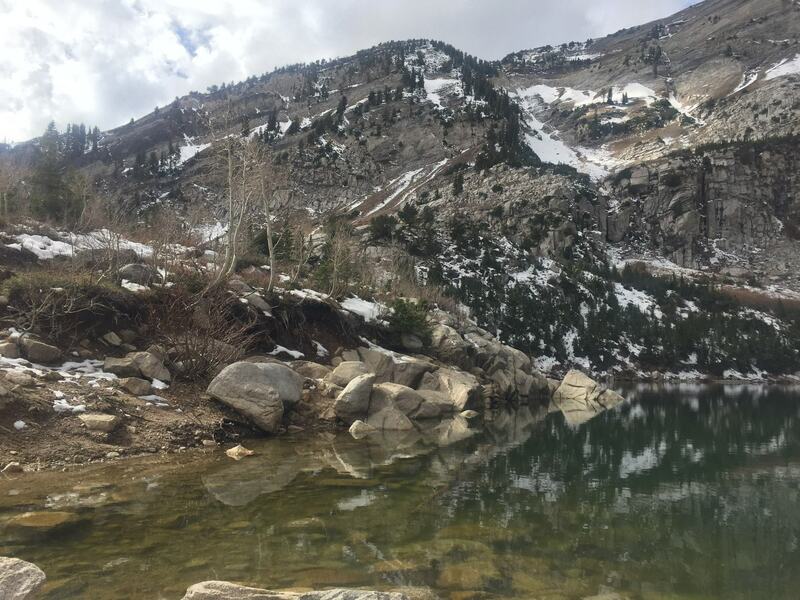 We decided to hike to Silver Lake in American Fork Canyon. 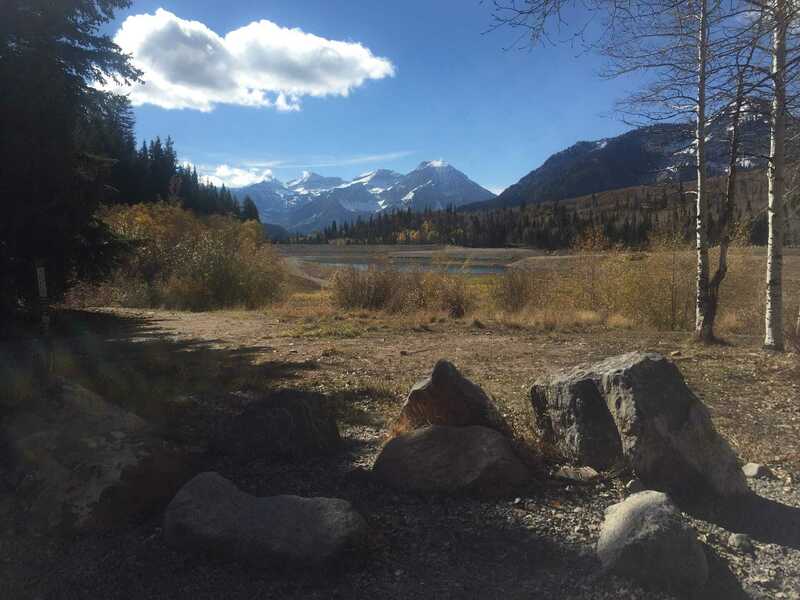 Yi hadn’t seen the canyon yet so it was the perfect opportunity to not only see the canyon and Tibble Fork Reservoir, but to drive the switchbacks to the trailhead. 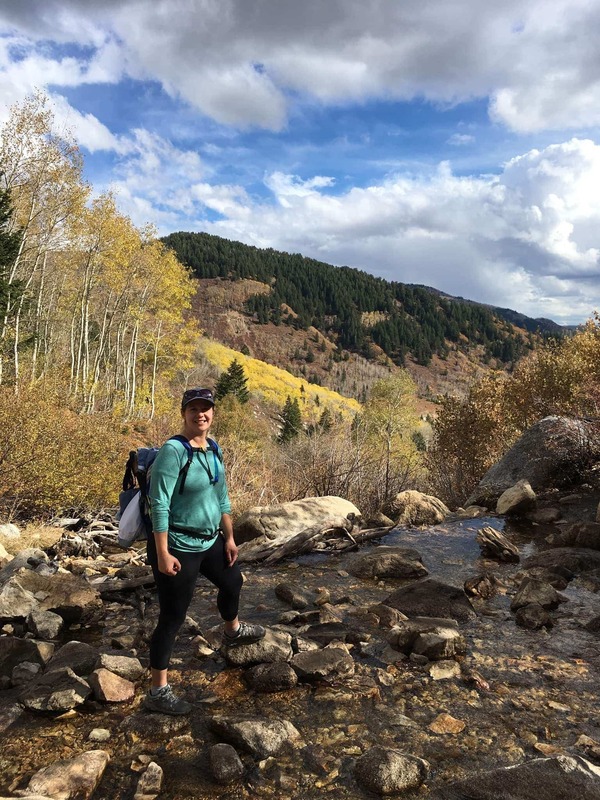 After the hike, we also drove the remainder of the Alpine Loop to Sundance. It’s such a beautiful scenic area. We were hoping to see a moose, but it had rained during the drive so we were guessing they took shelter. 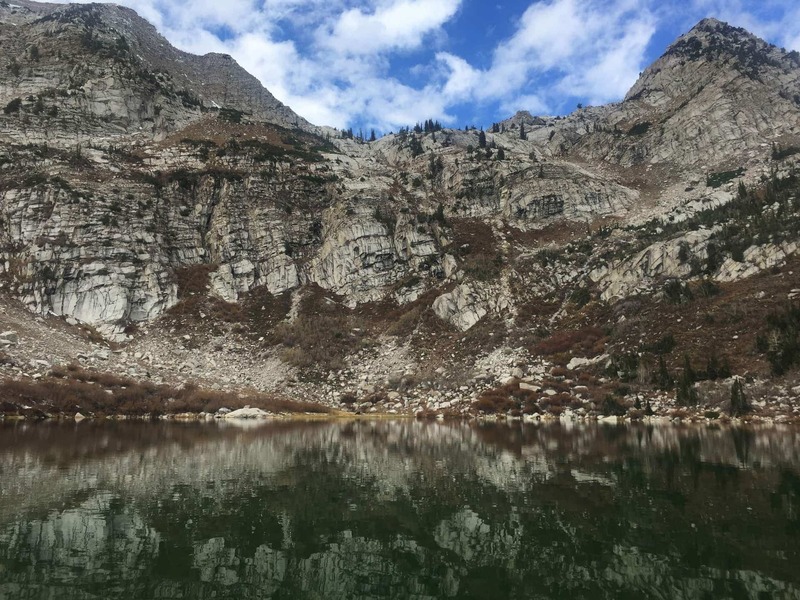 Keith and I hiked to Silver Lake in the spring and thought this would be a good choice because it features waterfalls and a lake. 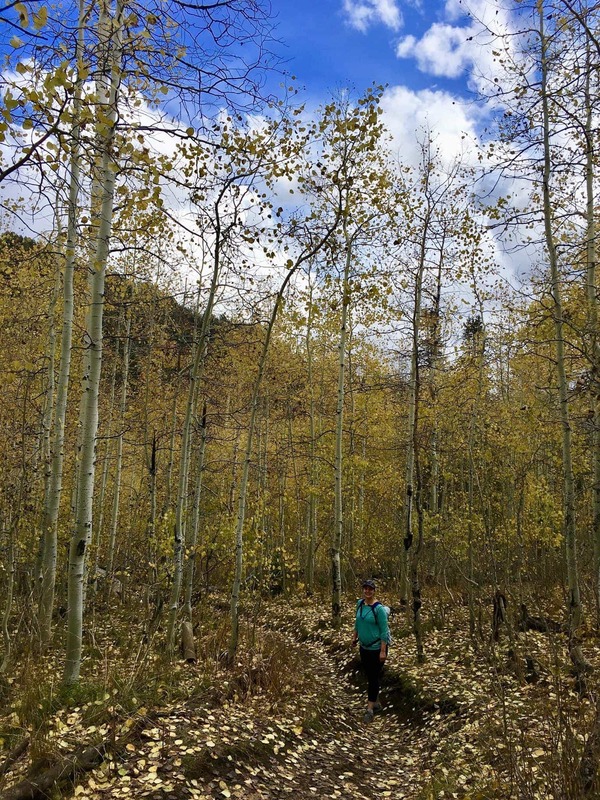 The hike is just over 4 miles and gains 1400 feet of elevation. I was a little worried because it was quite difficult for me in the Spring and I knew it probably wouldn’t challenge Yi much. It did offer Yi the time to do a little trail running and the chance to go further to another lake. 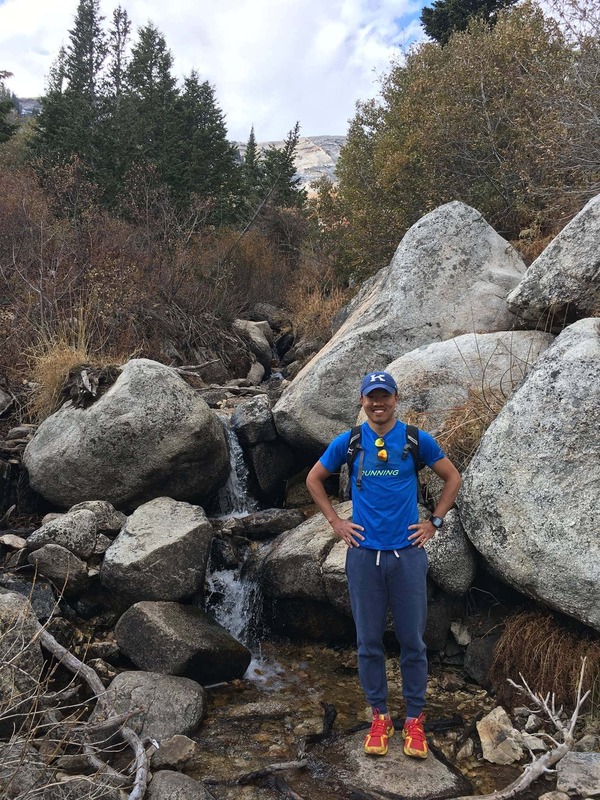 He was able to get in a good workout by running and attempting the upper lake, although he didn’t actually find it. 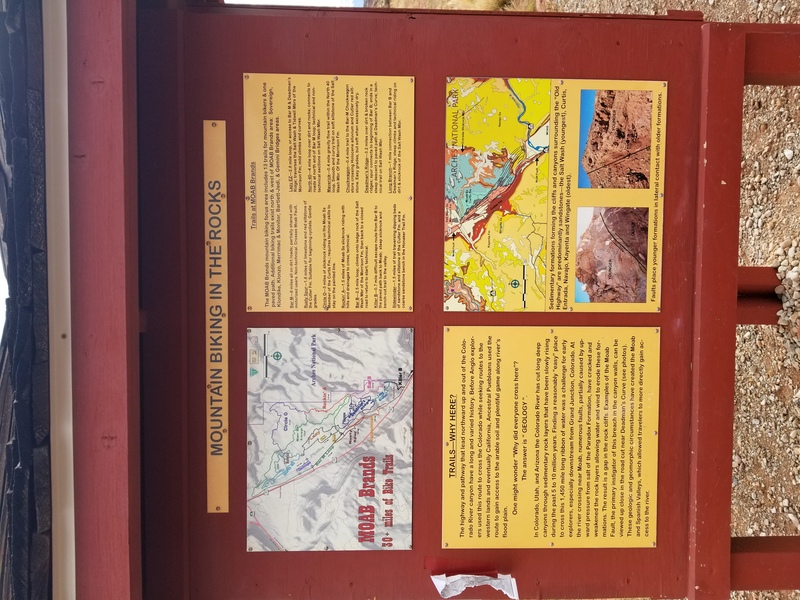 The trail ended up being a great choice for those reasons and although I couldn’t keep up with Yi, I did keep a much better pace than the spring hike so I was happy with my progress. I think it was mainly due to the cooler temperatures. I look forward to this hike again to track my pace. Yi was kind enough to treat Keith and I to a nice dinner before he left. He chose, Tuscanos. Keith and I had driven by, but hadn’t had the chance to eat there yet so it was the perfect choice. Tuscanos is a Brazilian Grill, which means that it’s a buffet style restaurant that also features skewers of various meats that are brought to your table by the staff. You have a “cue” at your table and if you place it with the green side up, the servers continue to offer you various dishes. Turning the cue to red indicates to the servers you do not need more at that time. It’s a unique was to try a variety of dishes. Brazilian grills are generally known for excellent cuts of meat that are cooked to perfection. A special thank you to Yi for making the trip to visit us in our home in Utah. 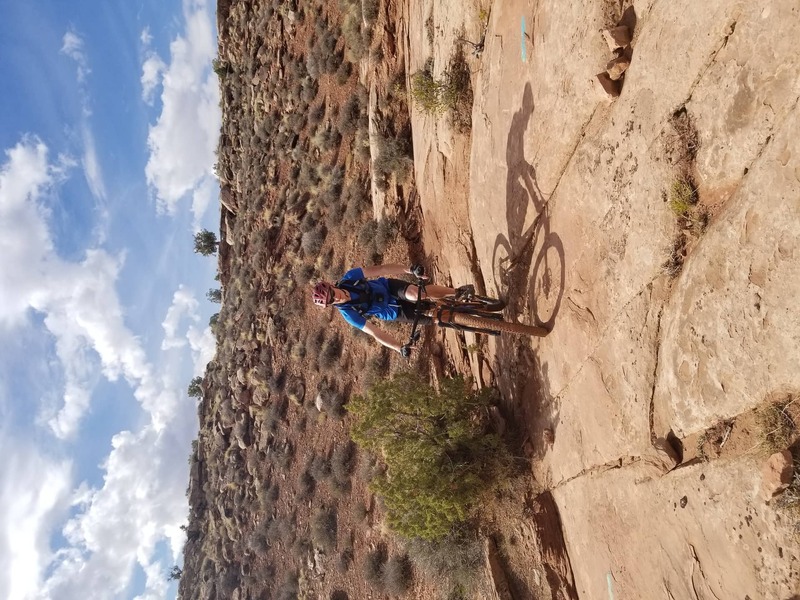 We enjoyed spending time with you, showing you around our area, traveling to Moab and sharing new experiences together. We hope you’ll come back to visit again!